Bed Bath & Beyond has become a popular store for many consumers. Whether you just moved into your first apartment, you've been living in your home for years, or your child is just heading off to college, you'll probably find much of what you need at Bed Bath & Beyond. The store is known for selling just about anything and everything that you could use in your home, from sheets and towels to kitchen appliances and gadgets, to picture frames, wall hangings, and more. In addition to Bed Bath & Beyond's wide selection of items, what draws so many consumers to this retailer is the coupons, which can bring valuable savings of 20% off or more. You can sign up to receive coupons in the mail at the Bed Bath & Beyond Web site and there are often Bed Bath & Beyond coupons printed in magazines. If you sign up for coupons online, Bed Bath & Beyond's stated policy is that it will not sell personal information to a third party. Bed Bath & Beyond offers two main types of coupons: "20% off one item" and "$5 off a $15 purchase." The $5 off $15 coupon gives you $5 off a purchase of $15 or more, while the 20% coupon is good for a discount on one item. Occasionally, Bed Bath & Beyond offers "20% off your purchase" coupons, which takes the discount off the cost of your entire purchase. To determine which is better, the 20% off coupon or the $5 off $15 coupon, it depends on the price of both your total purchase and individual items. As a rule of thumb, if your purchase is between $15 and $25, it's best to use the $5 off coupon. If your purchase is a big ticket item, the 20% off coupon will provide more savings. 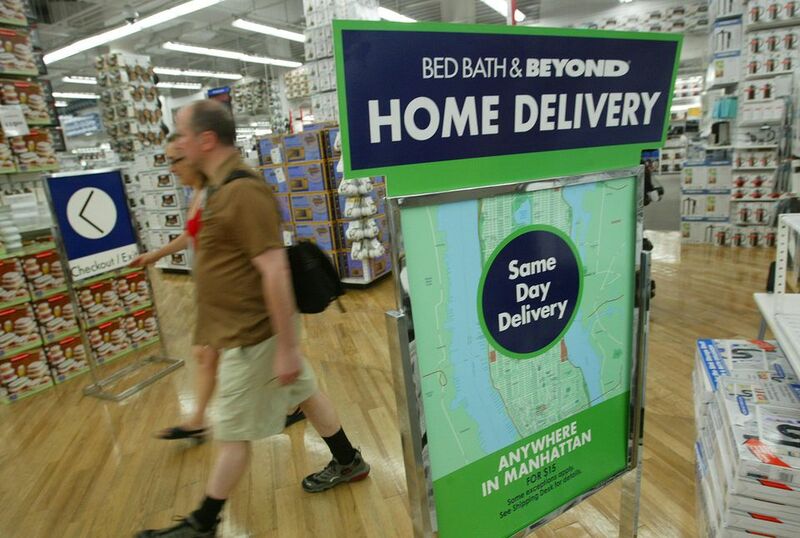 In most instances, Bed Bath & Beyond will accept coupons from competitors for similar items. If you're not sure if your local store will accept competitor coupons, simply call and ask. Bed Bath & Beyond will also accept manufacturers coupons. However, you may not be able to combine manufacturers' coupons with Bed Bath & Beyond coupons. It's best to call and ask or inquire in your local store. A Bed Bath & Beyond coupon cannot be reused. It applies to a single item and you must surrender the coupon at the time of purchase. You can use multiple coupons for multiple items. For example, if you buy five items and have five 20% off coupons with you, you can apply each coupon to each item. This will maximize your savings. There are a number of brands that are exempt from coupons. They are listed on the Bed Bath & Beyond website or a store employee will know the exemptions. Every Bed Bath & Beyond coupon has an expiration date printed on it, but if your coupon has expired, you aren't necessarily out of luck. The store is known for accepting expired coupons. So, if you've got a stack of expired Bed Bath & Beyond coupons sitting around, there's some chance you will be able to use them. If you return items purchased with coupons, you will not get the coupon back at the time of the return. Your refunded amount will be the same as the discounted amount you paid for the item. If you purchase an item at full price and later find a coupon, bring the receipt and coupon into your local Bed Bath & Beyond store for a price adjustment. You can't use Bed Bath & Beyond coupons on gift cards or on some items by certain manufacturers, as listed on the coupon or the Bed Bath & Beyond website. The popular 20% off, $5 off $15, and other printed coupons are for in-store purchases only, and Bed Bath & Beyond doesn't offer coupon codes for using the printed coupons for online purchasing. However, if you've signed up for Bed Bath & Beyond email offers, you will receive digital coupons that can be used online.